22/09/16 -- Soycomplex: Soybeans closed with small gains. Weekly export sales were at the low end of expectations coming in at 875,700 MT, of which China bought around half (409,900 MT). The USDA also reported 240,000 MT of sales to China (of which half was optional origin) and 151,000 MT to unknown under the daily reporting system. Despite this week's sales disappointing total commitments are still running 6.26 MMT ahead of last year at this time. Early US harvest reports are encouraging. "US field reports of early harvest continue to flow in and they are consistently at or above record," said FCStone. A Bloomberg survey into trader/analyst sentiment found 9 bulls, 16 bears and 6 neutrals on beans. Chinese bean imports for August were 7.671 MMT. Nov 16 Soybeans settled at $9.76 1/2, up 1 cent; Jan 17 Soybeans settled at $9.82, up 1 cent; Oct 16 Soybean Meal settled at $307.90, down $0.80; Oct 16 Soybean Oil settled at 33.96, up 56 points. 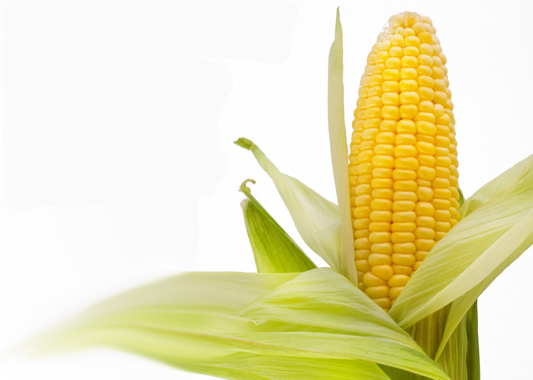 Corn: The corn market closed around 3 cents lower. The USDA reported weekly export sales of 921,900 MT, in line with trade ideas. Total season so far commitments are running 8.14 MMT ahead of a year ago helped by the lack of availability coming out of Brazil. As the US harvest gathers pace "field reports from producers are mentioning that yields are good, just not great like they were hoping/expecting," said Benson Quinn. China reported DDGS imports of 508 TMT in August, down 36% from a year ago. Corn imports were virtually zero. The Chinese government sold virtually none of the 3.6 MMT of 2013 crop corn offered up at auction today. Russia reported that it's 2016 corn harvest was now 17.7% complete at 2.7 MMT. Average yields are coming in at 5.28 MT/ha versus 5.06 MT/ha a year ago. A crop of around a record 14 MMT is now expected. A Bloomberg survey into trader/analyst sentiment found 3 bulls, 15 bears and 13 neutrals on corn. Dec 16 Corn settled at $3.36 3/4, down 3 1/4 cents; Mar 17 Corn settled at $3.46 3/4, down 3 1/4 cents. Wheat: The wheat market closed mixed. Weekly export sales came in a little above trade expectations at 561,000 MT. Egypt picked up four sellers in their tender to buy wheat at 0.05% ergot. Sellers still appear reluctant to participate as they are not above re-introducing their zero tolerance stance retrospectively. Offers were above previous levels and appear to have contained a bit of "protection money". Results are not known yet. Brussels issued 452,000 MT worth of EU soft wheat export licences, taking the volume granted so far this season to almost 25% higher than a year ago. Russia said that it's 2016 wheat harvest was now 91.9% done at 73 MMT. Planting of winter grains (mostly wheat) for the 2017 harvest is 59.1% complete on 10.3 million ha. Jordan tendered for 100,000 MT each of hard wheat and feed barley. Chinese wheat imports for the month of August were 347,733 MT. A Bloomberg survey into trader/analyst sentiment found 2 bulls, 9 bears and 18 neutrals on wheat. Dec 16 CBOT Wheat settled at $4.05 1/2, down 2 1/4 cents; Dec 16 KCBT Wheat settled at $4.20 3/4, down 1 1/2 cents; Dec 16 MGEX Wheat settled at $5.01 1/4, up 6 1/2 cents.